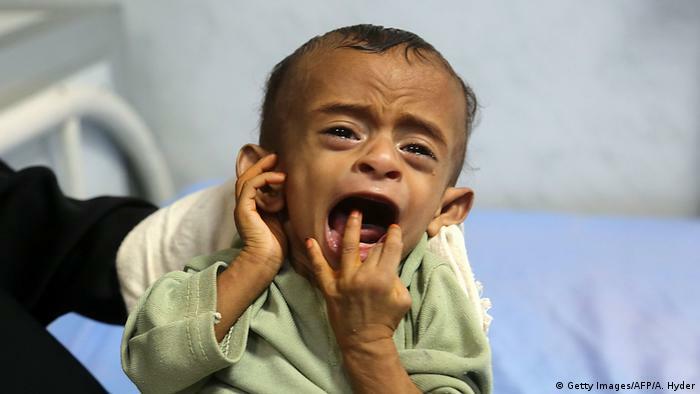 WEBPUBLICA UNITED NATIONS (New York)– Hunger and disease have killed 85,000 infant children caught in Yemen’s war since 2015, according to Save the Children organization. Its estimate coincides with a UN envoy’s visit to Sanaa ahead of talks due in Sweden next month, DW reported quoting other news agencies. Save the Children said its figures were based on historically verified mortality rates for untreated cases of Severe Acute Malnutrition or SAM. These show that up to 30 percent of under-5′s die if their malnutrition is neglected. Yemen’s malnutrition death toll has not been stated by the United Nations in what it calls the world’s worst humanitarian crisis, but it has said 300,000 under-5′s are at risk of dying. 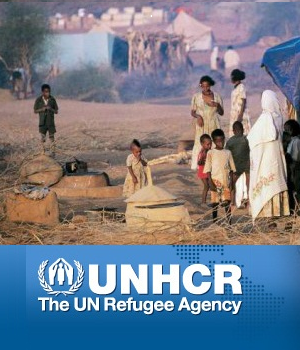 Last month, the UN’s World Food Program warned that the proxy war between Saudi Arabia and Iran had already put 8 million — half of Yemen’s 14 million-population — on the brink of famine. A database run by ACLED (Armed Conflict Location & Event Data Project) puts Yemen’s losses since early 2016 at 57,000. A Saudi-led coalition intervened in Yemen in March 2015 in a bid to restore a government that had been ousted by ethnic Houthi rebels in 2014. 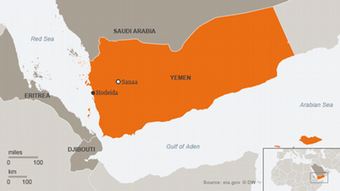 Since seizing Aden, Yemen’s southern port city, in 2015, a military stalemate has ensued, focused on the main port city of Hodeida, a supply line for the Iran-aligned rebels on Yemen’s western Red Sea coast. The Saudi-led blockade was tightened a year ago. Aid groups have warned that an all-out assault on the port city would endanger 80 percent of Yemen’s humanitarian aid, including food imports. Hodeida has seen shelling by pro-government and Houthi militias in recent days after the rebels declared a halt to missile and drone attacks on the Saudi-led coalition that includes United Arab Emirates forces. After talks with rebel leader Abdel Malek al-Houthi, Griffiths was expected to travel on to Hodeida on Thursday. A draft resolution, cited by Reuters, calls for halts to fighting around Hodeida and other populated areas, an unhindered flow of commercial and humanitarian goods and a fast injection of foreign currency into Yemen’s impoverished economy. 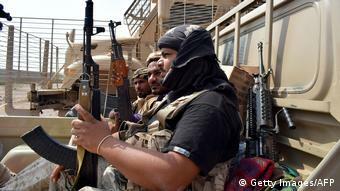 A previous bid to launch UN-sponsored talks in September in Geneva collapsed with the Houthi rebels failed to show up.